​We consider our Special Needs Medical Program our greatest acheivement to date. When we began Dogma in 2013, we had to save every penny we could in order to take on medical dogs. Most of our funds during the first year went towards purchasing kennels, crates, dog food and medical care. But the big desire in the "rescue world" is to save badly broken dogs that no one else is going to touch. 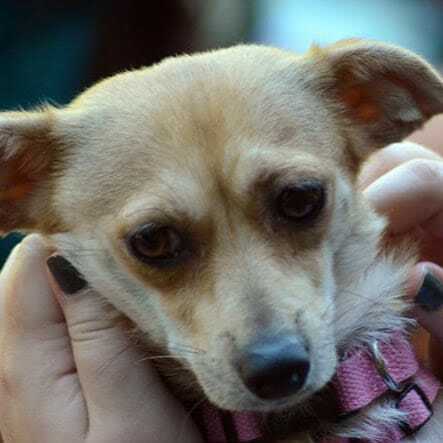 Dogma has been fortunate to be able to rescue dozens of dogs that were in desperate need of life saving medical treatment, and we have no intention of stopping anytime soon. Of course, not every animal makes it, but we focus on our successes and celebrate positive outcomes. 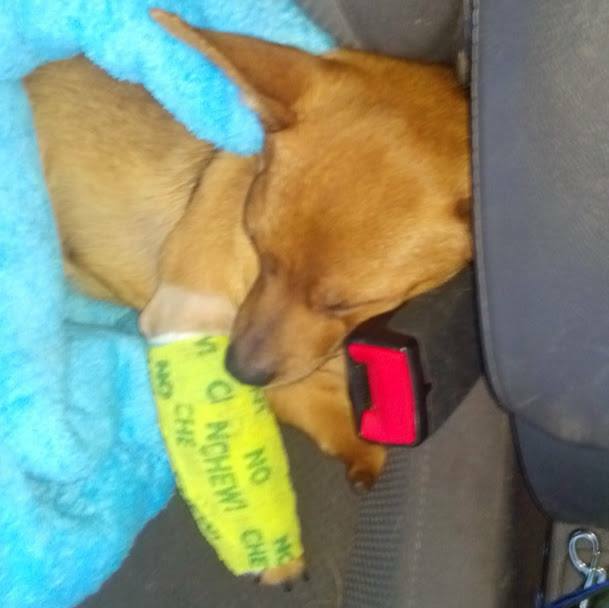 There is something almost spiritual when transporting a dog with a bad fracture, or missing an eye or major internal injuries from across the state to Sonoma County. A bond is definitely made between human and animal during these quiet car rides. Usually they include stops at random fast food joints for hamburger patties for the dog. We at Dogma love all of our animals and work hard to ensure they receive the absolute best care possible. We are proud if our successes and look forward to many, many more. Donations keep our medical program viable. Below are just a sampling our our various medical program recipients. 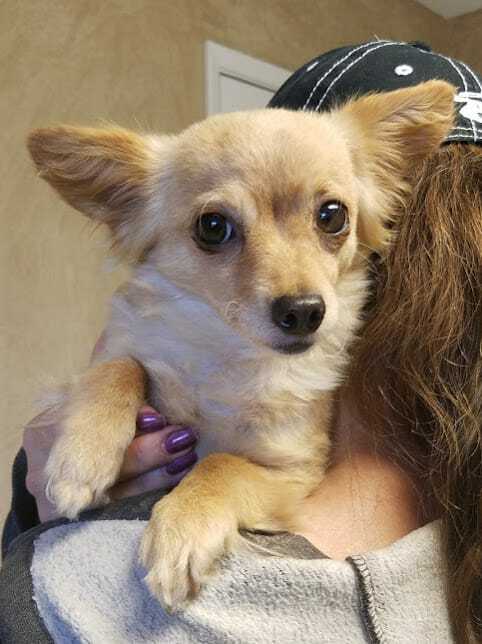 Dixie, a 2-3 year old Pomeranian from Stanislaus County. 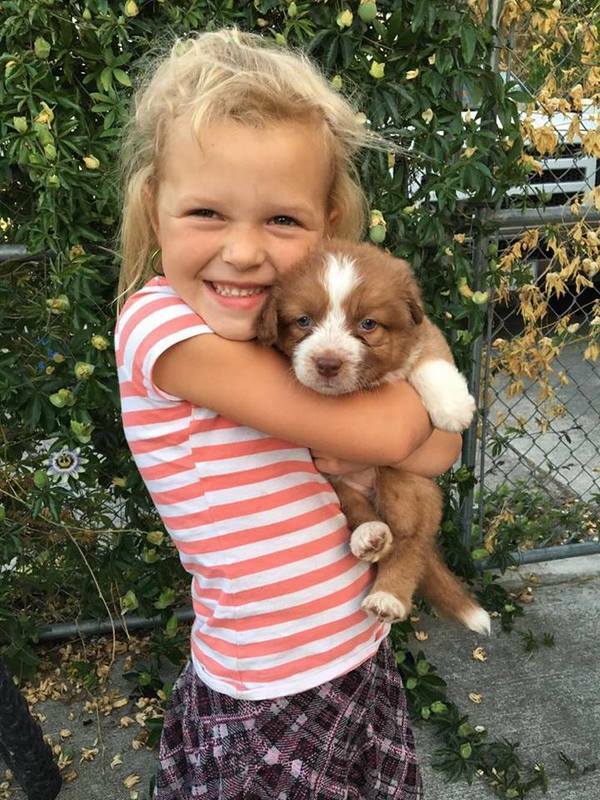 The local shelter lacked the resources to medically treat this little girl, so she was facing euthanasia. We were fortunate to have funds in our Special Needs Medical Program so we agreed to accept Dixie into our program. 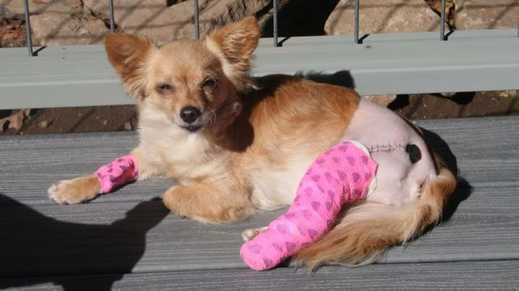 Dr. Barros at Devotion Animal Hospital stepped up when we needed help badly and was able to surgically repair her leg. 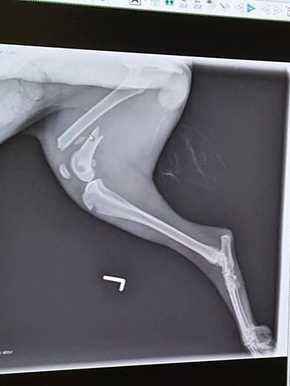 As if having a broken femur wasn’t bad enough, we soon learned that Dixe has two luxating patellas that need to be fixed. 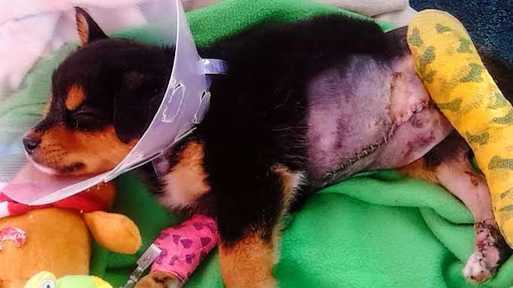 The estimate for the second surgery is $4,200. She will go to her next vet appointment on January 10, 2017. This girl is well on her way to making a full recovery. Stay tuned for more details about beautiful Dixie’s progress. 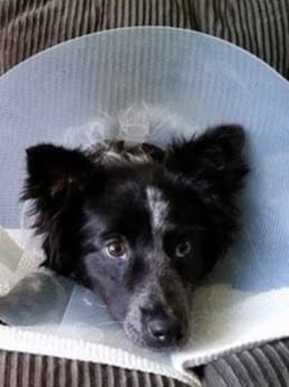 Dixie still needs help to cover her $6,000 recovery. Please consider making a donation today. 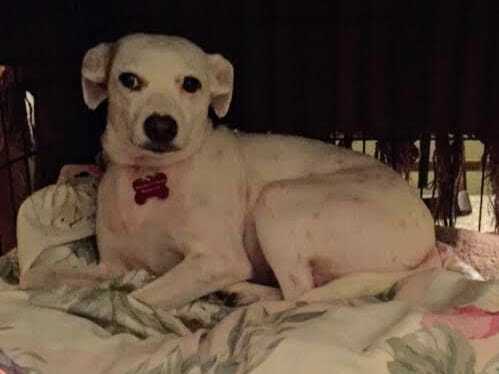 ​Snow White came from a shelter in Kring’s County where she was owner surrendered. She was a one year old, very pregnant and had a broken radius and ulna in her from leg. 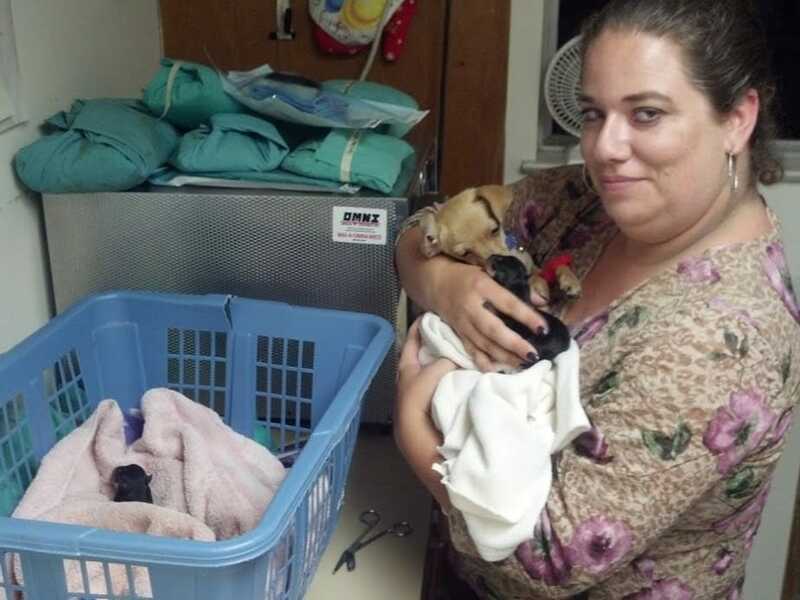 One of our amazing volunteers in the Central Valley drove her to a vet and when they were taking xrays she started delivering puppies. Her exam was put on hold until she was done delivering. Snow delivered 6 healthy, beautiful babies that were all fat and happy. She immediately started nursing and proved to be a wonderful mother. We were sad that Snow had to wait to have her two broken bones corrected because she had already been living in pain for three weeks. Yes, her fracture was three weeks old. When the puppies were one week old, our favorite person in the world, Dr. Gurevitch, came in and plated the fractures. 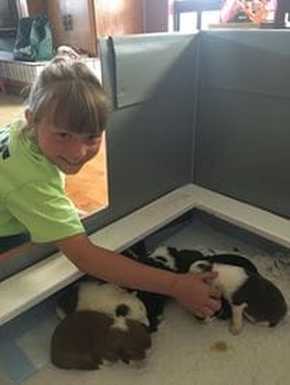 Snow nursed her puppies and they grew strong. 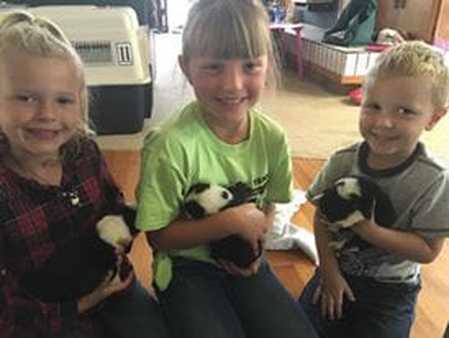 After eight weeks they went up for adoption. Snow, however, had a different path. 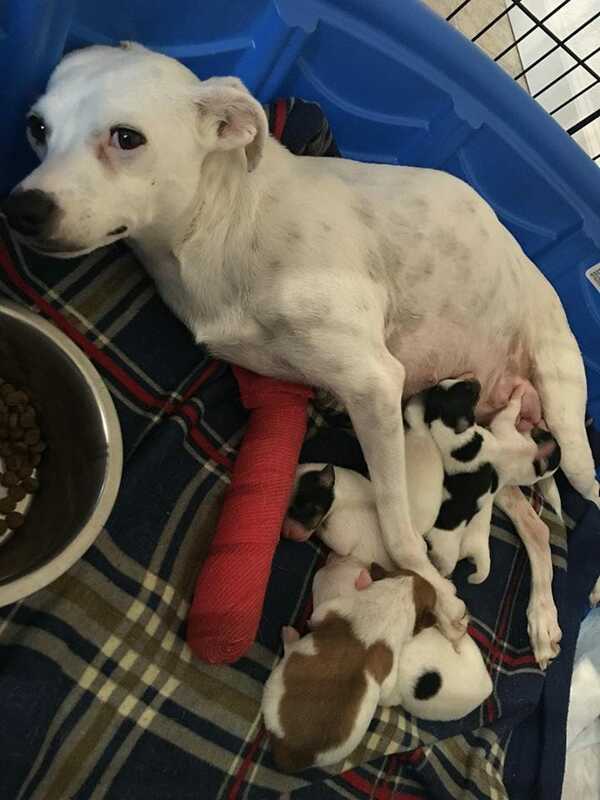 Because she had been nursing her babies, she used all the calcium needed to heal her bones on her puppies. Once the pups were adopted we had to refocus on Snow’s health and allow her body to heal without the burden of six puppies. Snow transferred to a great foster home that had more time to work with her and help her rehab her leg. 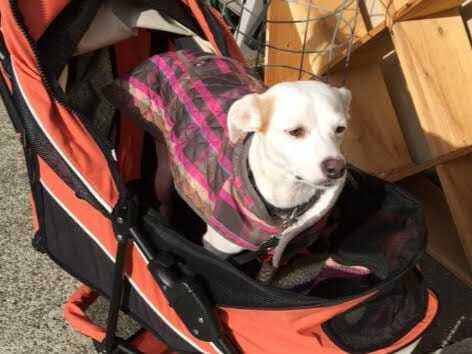 She takes walks now, but will spent time in a baby stroller to prevent her from over exerting herself. She is a gentle love bug and sleeps in the bed every night. Snow is just one of those dogs you fall in love with because they are so grateful, even after the world has treated them so badly. 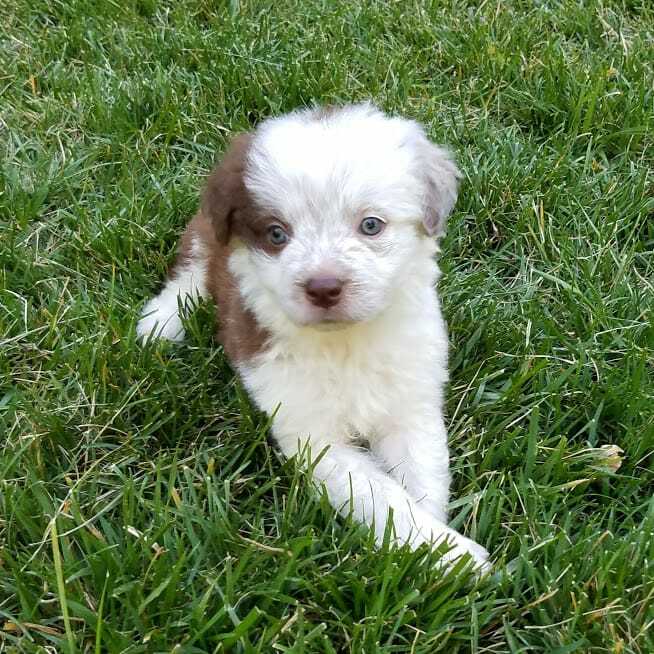 Snow is currently available for adoption. 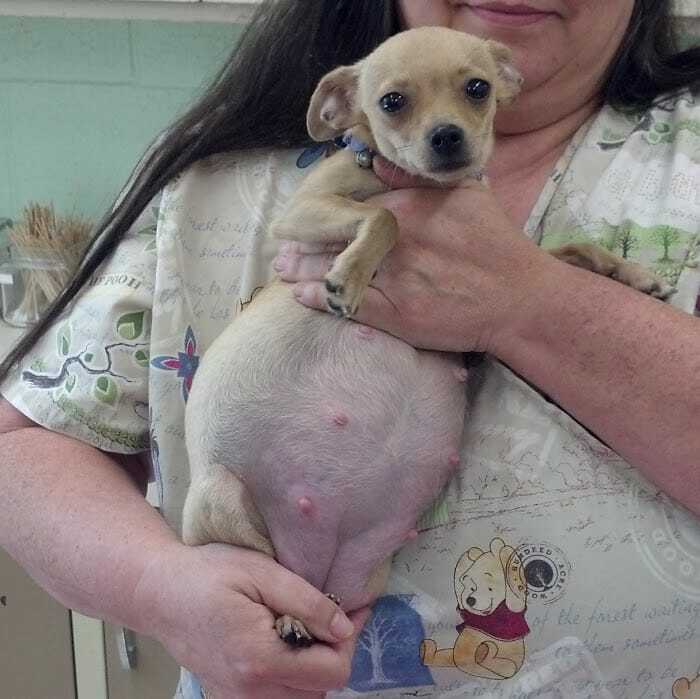 ​Rocky was a teeny tiny dog with an enormously big belly. 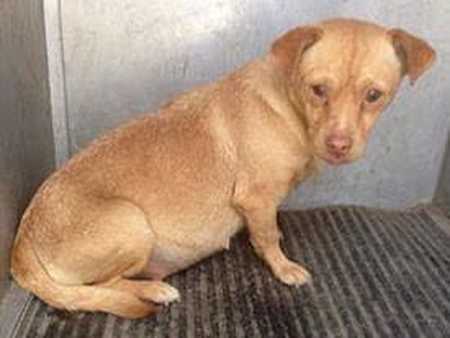 She arrived from an overcrowded shelter very pregnant and a bit scared. Lots of affection and delicious food later and she was a happy girl, but we still knew we had a problem because of how large her belly was. 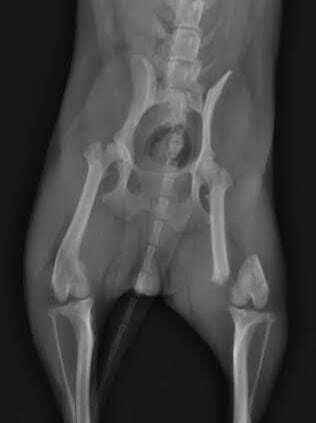 Days passed and we had ultrasounds and xrays done to try to figure out what was going on inside her belly, but those puppies just wouldn’t come out. Day after day we waited for puppies and Rocky just kept getting bigger and bigger. 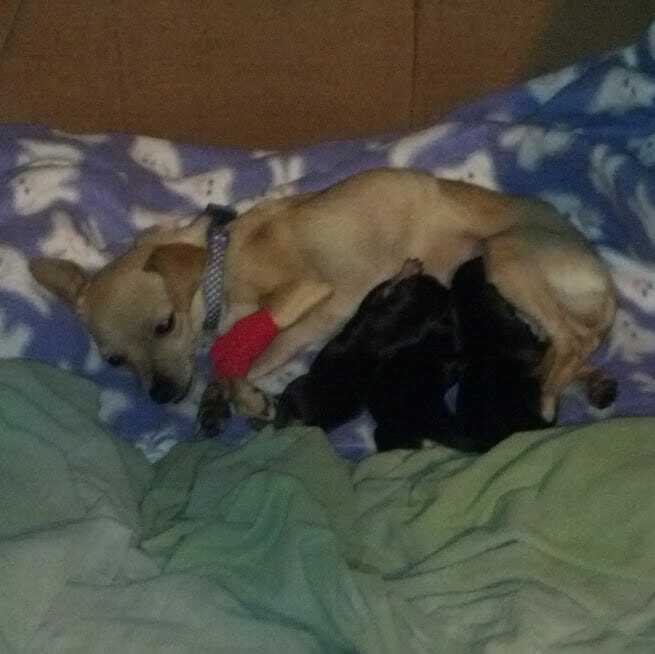 She finally went into labor but the puppies were too big and mama Rocky needed an emergency c-section. 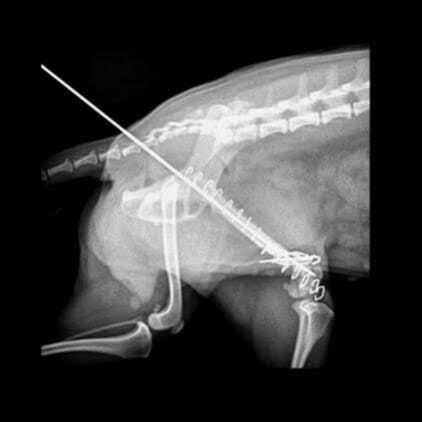 Luckily, our veterinarians at Northotwn Animal Hospital were still in the office and we had an after-hours delivery. Rocky delivered three enormous puppies. Everyone arrived safe and healthy and rejoined their foster family later that night. After the stress of the c-section, mom and pups settled into a normal routine and the pups grew strong and large. 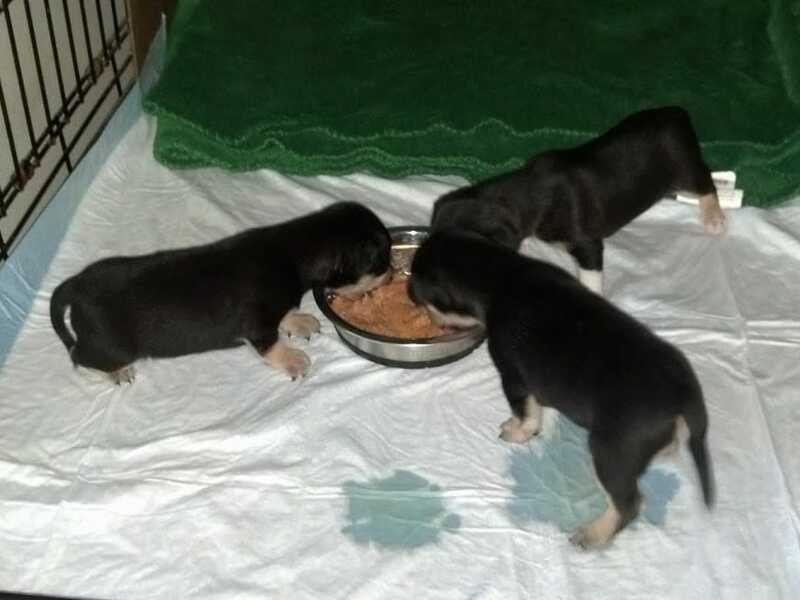 By 8 weeks old all three were larger than tiny Rocky. They all found great homes. Rocky went to live on a ranch where she chases chickens and rides in the basket of an ATV. 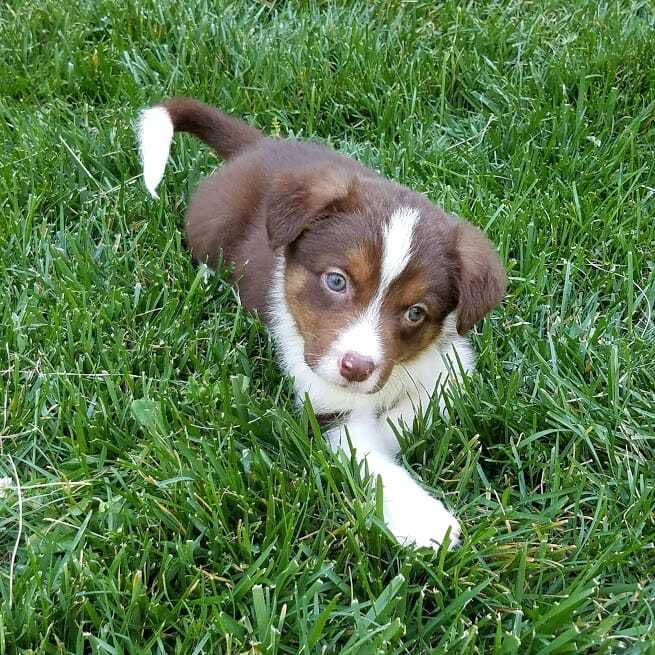 She’s turned out to be a rough and tumble country girl…all five pounds of her! 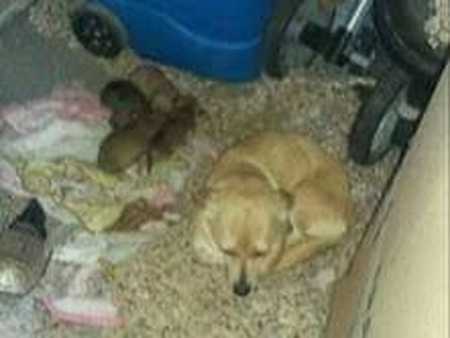 Phoebe and her litter of 5 puppies were found in the garbage area of a recycling center deep in central California. All in took was one picture of her and her puppies living among the garbage cans to know they had to become Dogma dogs. 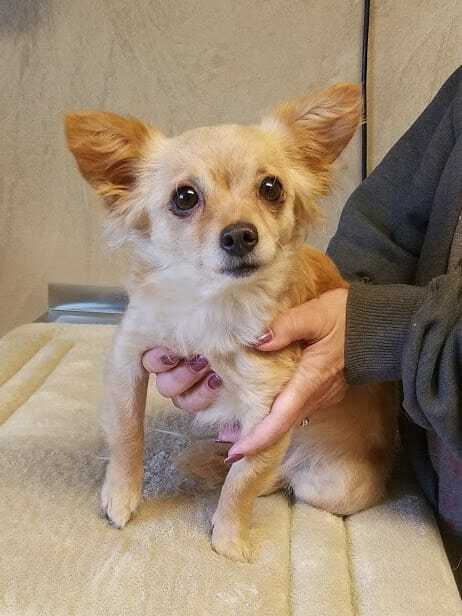 Within a day we were able to find a temporary foster in Fresno area and arrange a flight to the Sonoma Jet Center with the help of Pilots and Paws. After a short flight, our pilots Jim and Cy delivered the precious cargo to us. The excited local foster family even came to the airport to watch the family fly in. 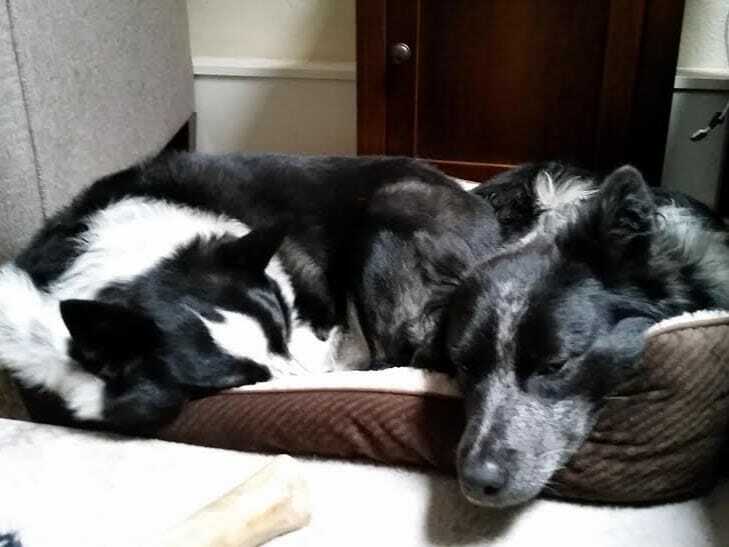 Mom and pups settled into their foster home and we expected a quiet couple months while the puppies grew up. Soon after we discovered Phoebe was prone to seizures. After lots of testing the vet could not find an underlying cause for the seizures and she was diagnosed with epilepsy. Her condition was manageable, but Phoebe would require medication for the rest of her life. 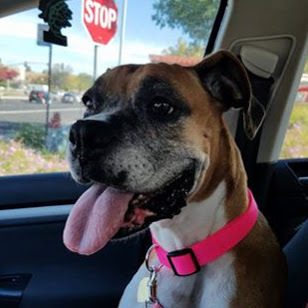 As a part of her adoption agreement Dogma paid for her medication for 6 months. 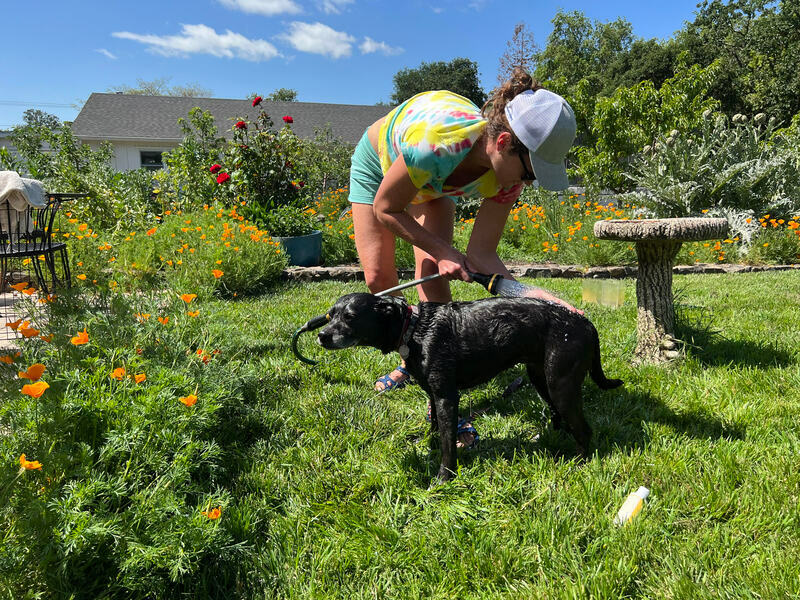 We are happy to report that after an uncertain future, Phoebe is now happily ensconced with a family experienced in caring for a medically fragile dog. Pip was a stray living in an orchard when he wandered into a garage and was attacked by the homeowners two resident dogs. Sadly, he lost an eye in the attack, suffered a broken jaw and had numerous broken ribs. 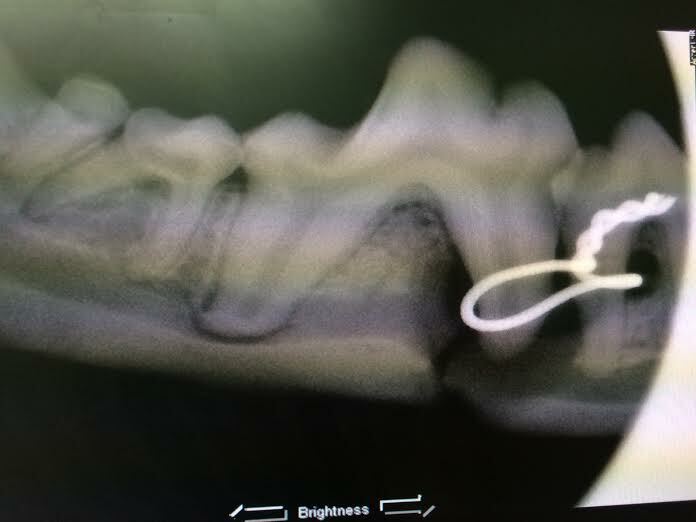 Unfortunately, the first surgery to repair his jaw was not successful and resulted in an awful infection in the bone that required weeks and weeks of antibiotics. He ended up having a second surgery to reset the fracture. Pip stayed at Dogma Central for almost a year recovering. This little monster had a ton of personality and loved everyone he met. We was a rescue favorite. Pip was a 7 pound dog that thought he weighed 100 pounds. We ended up calling him the Pip Bull. 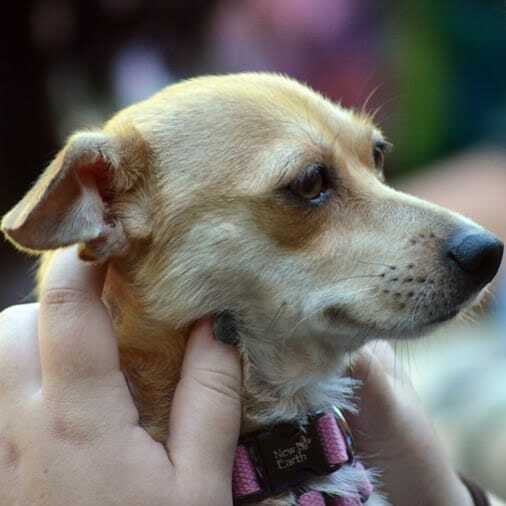 Sometimes when we have fragile dogs like Pip, we wait for the perfect adopter. We were contacted by a veterinary technician who had fallen in love with Pip’s pictures. 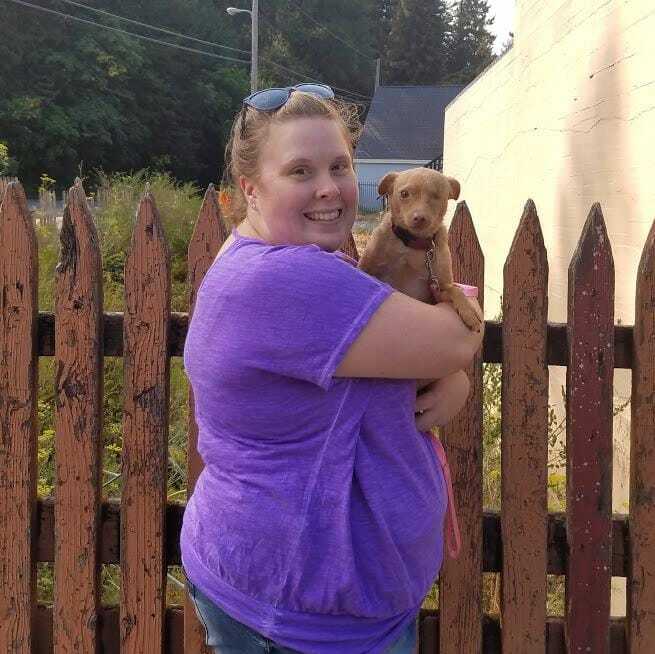 After an initial meeting we knew that it was a great match and she adopted Pip. 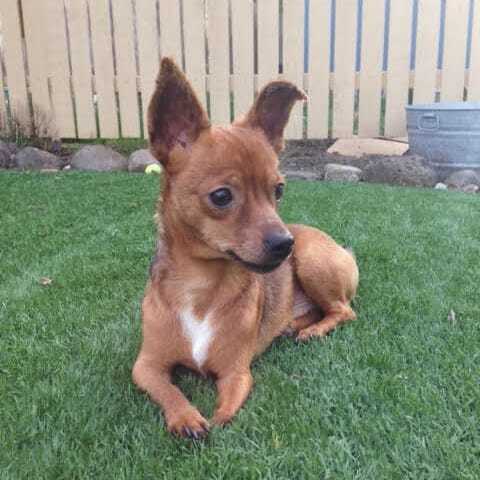 It’s hard saying goodbye after you’ve nursed an animal back to health, but now Pip has a wonderful home and we have space to save another dog like Pip. 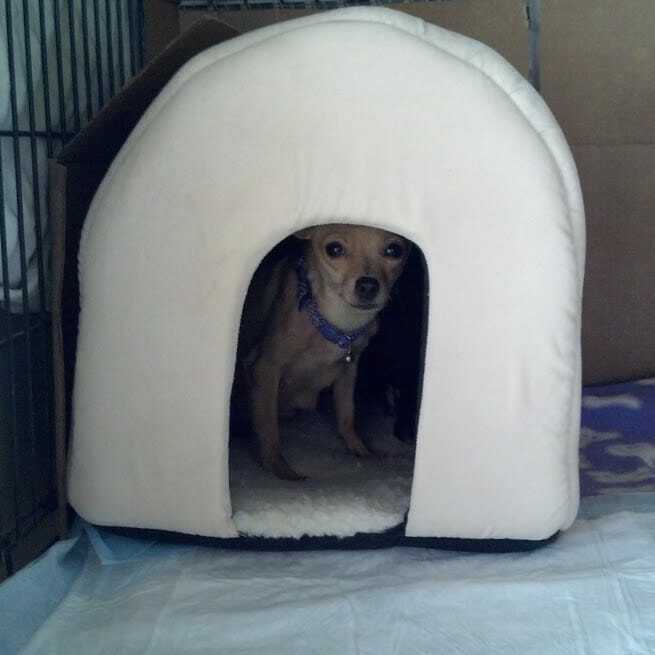 We work with a lot of small public shelters around California that have very limited budgets. When we received a picture of Gabby at the shelter, guarding her rear left leg, we knew she probably had been hit by a vehicle. 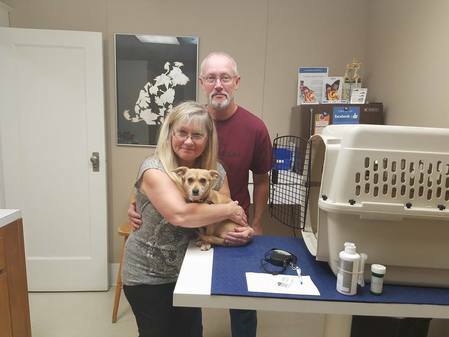 A Dogma volunteer in the Central Valley drove to Avenal and transported Gabby to a local hospital for xrays. We received the xray and saw how bady fractured her femur was and knew that time wasn't on our side. Luckily, Dr. Barros at Devotion Animal Hospital agreed to perform surgery the very next day and worked within our limited budget. 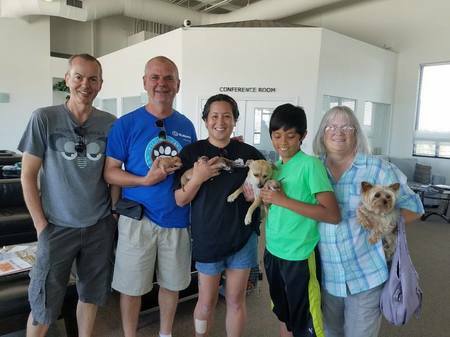 A Dogma volunteer located in Santa Rosa started the drive to Avenal, while another Dogma volunteer started the drive to Santa Rosa with Gabby. They met in the middle and this girl arrived in Santa Rosa around midnight and was at Devotion at 8am. 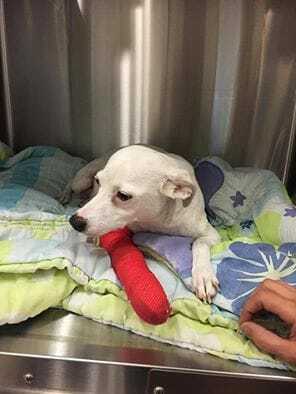 It took less than 18 hours to get Gabby from the shelter into surgery. 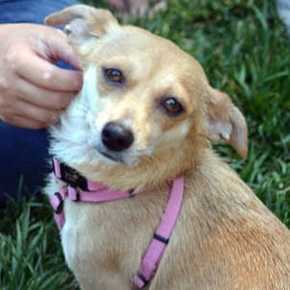 Gabby recovered well and was adopted by her foster mom. She now lives a country life with her canine sibling. Life's gotten much better for this sweet girl. Because we focus on pregnant dogs we are often asked to take newborn puppies that find themselves at overcrowded animal shelters. 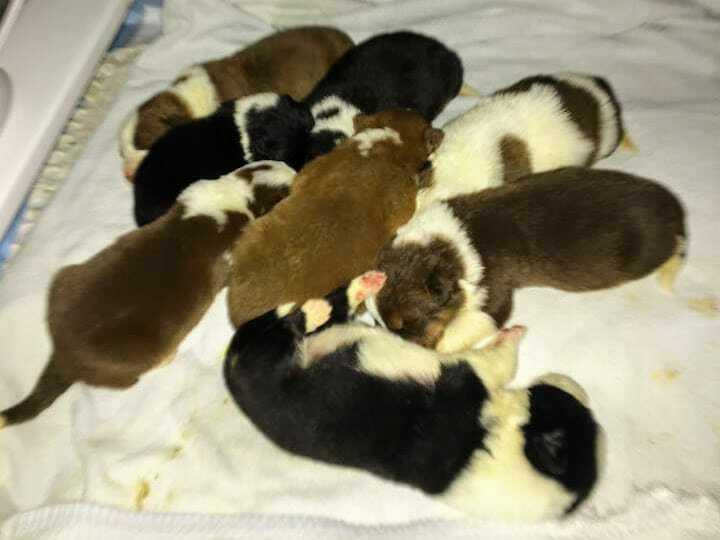 These eight Australian Shepherd/Border Collie puppies were only a few days old when they joined Dogma and went to stay with Chrissy and her family. 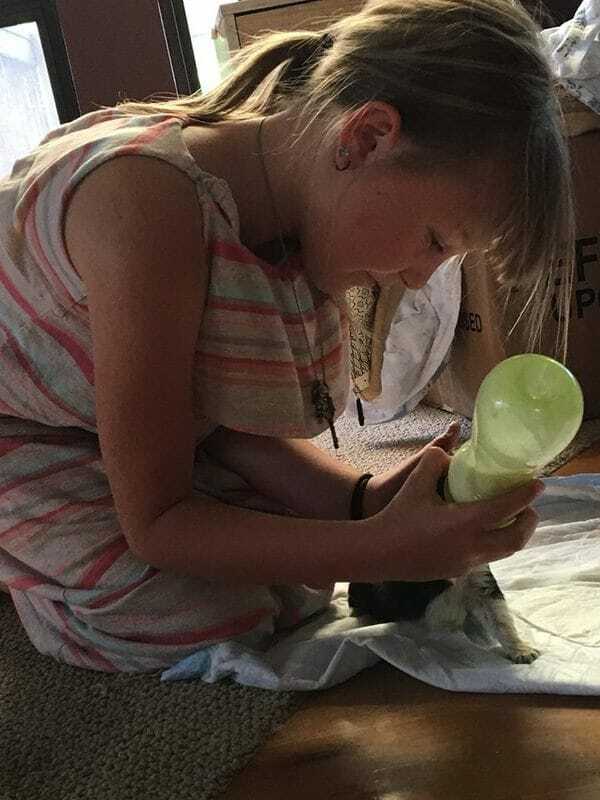 Newborn puppies need to be bottle fed every two hours and are a major commitment. Even in the best of circumstances they are delicate and fragile little babes. Unfortunately, Chrissy's Litter developed a bacterial infection. 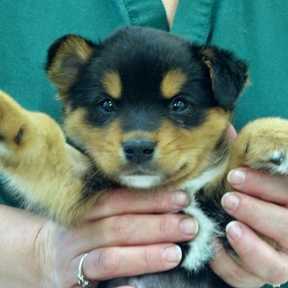 We transferred the pups to a foster with veterinary experience and saved four of the eight puppies. 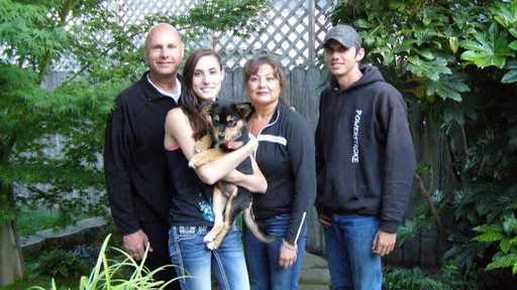 In rescue we celebrate our successes, so in the end, we ended up with four beautiful, healthy puppies. All four found amazing homes and it was only possible because of the hard work and efforts of our dedication foster network. Our animal fosters do amazing things on a daily basis. 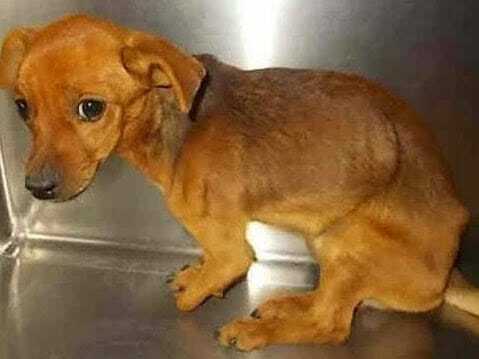 Timmy was facing euthanasia at an animal control facility because of two badly deformed front legs. 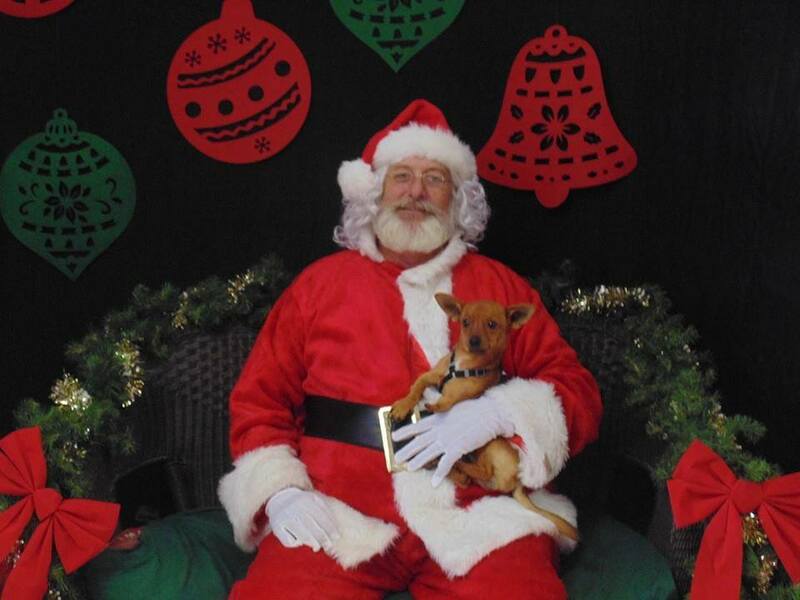 When we received an email with a pic of him in a cage at the shelter we knew he needed to be a Dogma dog. We took Timmy to an orthopedic surgeon and made a game plan. 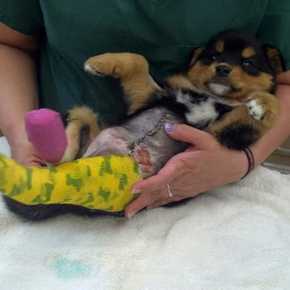 One of the legs could be repaired enough for him to walk comfortably. The other leg was like a chicken wing and nothing to be done to correct that limb. Once Timmy was old enough, he had a small piece of bone cut from his leg and some tendons were cut to allow the limb to relax and extend down. After Timmy healed up he had more mobility and his leg extended normally. 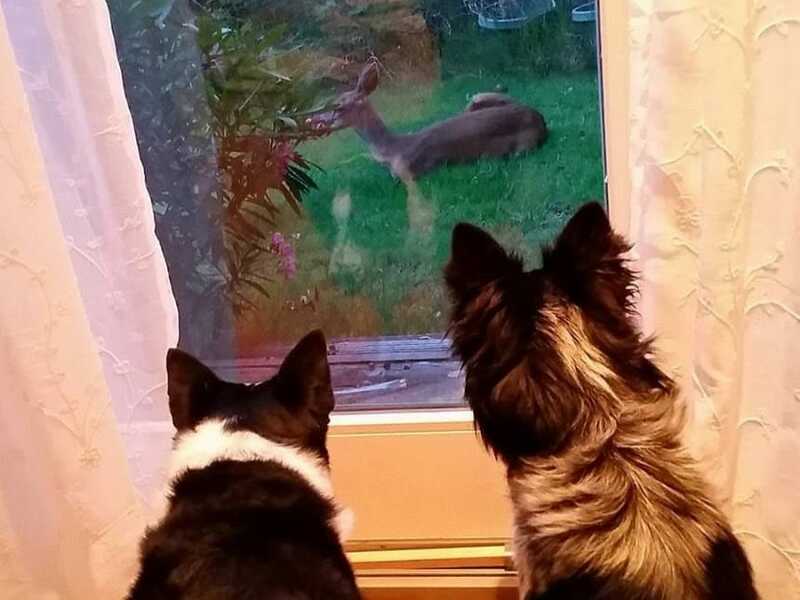 For the first time in his life, this little guy could move around like a normal dog. 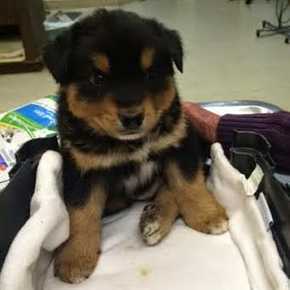 Lucky Trooper was found lying in the middle of a road after being struck by a vehicle the day before. He is our first Dogma miracle dog. This little guy had numerous broken bones, including a broken hip, missing toes and skin from road rash, and a badly swollen belly. Most concerning was that his lab test showed he was too weak for surgery, but there wasn't any time to wait. 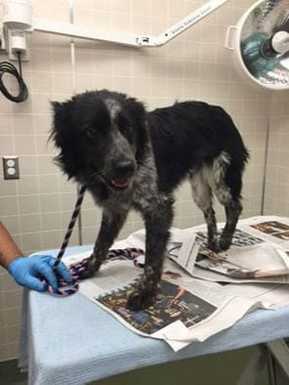 We were cautioned many times by many vets that Lucky might not make it. 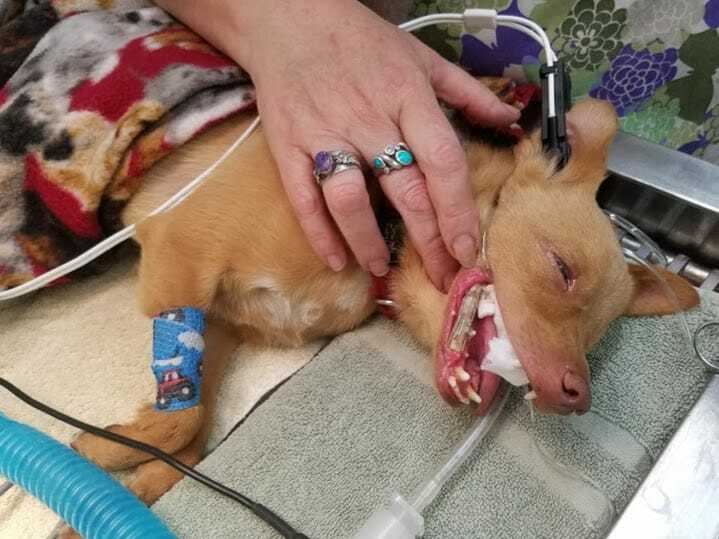 We were very fortunate that Dr. Barros from Devotion Animal Hospital was willing to help save him. During surgery Dr. Barros removed the end of the femur that fits in the hip joint and set the other fractures, amputated some toes, and grafted skin onto areas damaged from the road rash. 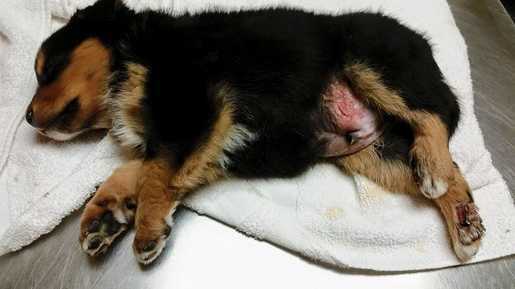 When he opened Lucky's belly up to investigate the swelling it was discovered that all of his organs were in the wrong place. The pressure from being hit squished everything upward so badly that he had intestines in his cardiac cavity. Luckily this guy was a fighter. 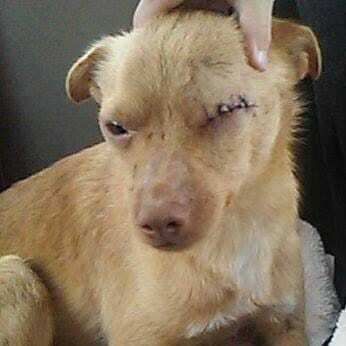 After his surgery he was fostered by a vet tech and nursed back to health. Lucky ended up making a full recovery and the only sign of his early trauma is a slight limb and missing toes. He was adopted by an amazing family and still comes by our adoption events for visits every so often. 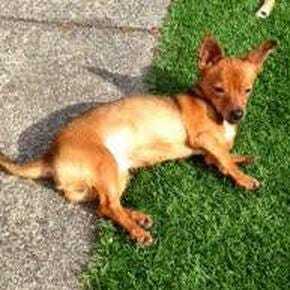 On a nice side note, a group of rescuers went to the location soon after Lucky was found and searched the area. 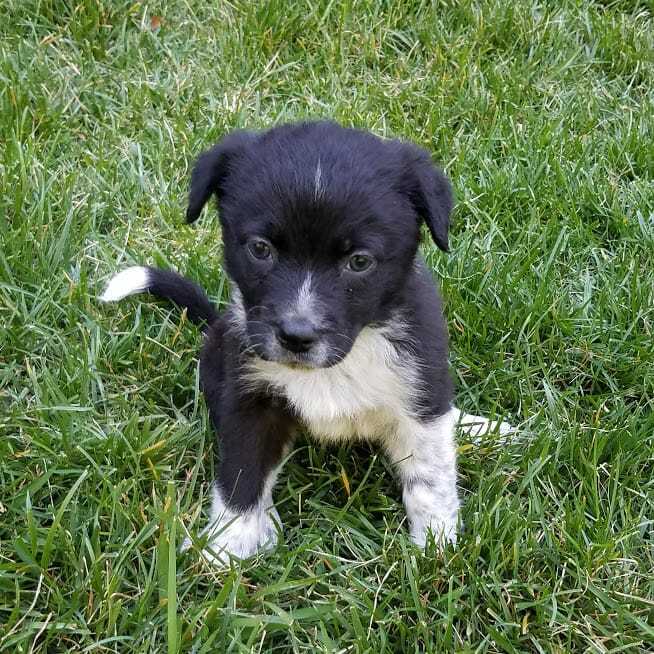 We ended up finding his litter mates living in a drainage pipe and rescued them, too. 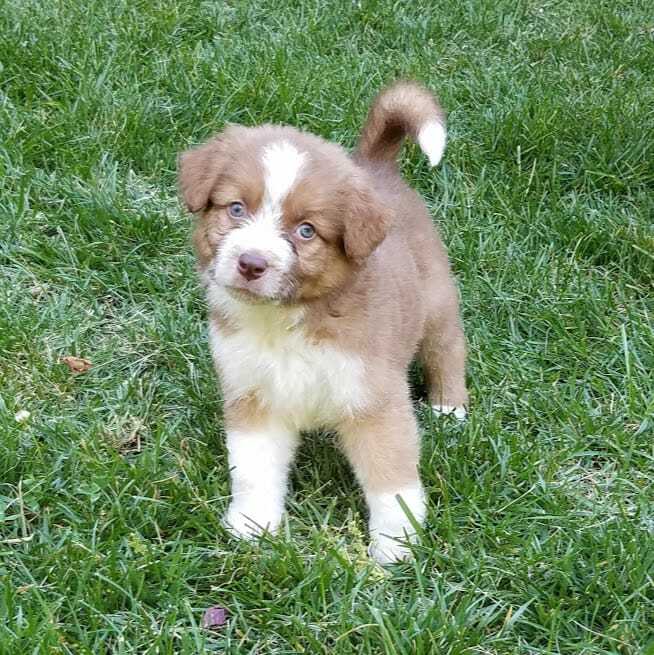 All of the puppies have found their forever homes.